KING OF PRUSSIA, Pa. — Authorities searched Tuesday for a 10-month-old girl who was declared missing after her grandmother, who was baby-sitting her, was found slain inside the family's apartment in a Philadelphia suburb. Investigators are focusing on reuniting Saanvi Venna with her parents in two probes that are "intricately connected," Montgomery County District Attorney Risa Vetri Ferman said. Investigators did not immediately release details on the death of the girl's grandmother, 61-year-old Satyavathi Venna. Ferman would not say how the woman was killed or whether there were any suspects, but investigators believe the abduction occurred sometime between 8 a.m. and 1 p.m. Monday. "All of our resources are focused on finding Saanvi and reuniting her with her parents," Ferman said in an interview. "The search for the child is intricately connected to the homicide investigation." Police issued an Amber alert for Saanvi on Monday following the discovery of her paternal grandmother's body at the Marquis Apartments in King of Prussia, about 15 miles west of Philadelphia. Later in the night, the girl's father issued a tearful plea for his baby's return. Upper Merion Township police said the girl's father, Venkata Konda Siva Venna, and mother, Chenchu Latha Punuru, immigrated to the U.S. from India in February 2007. The couple lived in San Antonio, Cleveland and Troy, Mich., before moving to the Philadelphia-area apartment complex in June. On Tuesday, Montgomery County authorities canvassed the apartment complex in search of clues. The grandmother had arrived in July and was scheduled to return home in January, police said. At the time she was killed and the child was abducted, the woman had been baby-sitting the child, police said. Family members speaking on behalf of Saanvi's parents pleaded for her return as they gathered at the Upper Merion Township Police Department. "Bring the girl back to the parents," said Ram Venna, 36, the girl's uncle, who had flown in from his home in San Jose, Calif.
Madhukar Sanikommu, 42, of Warren, N.J., a cousin of Saanvi's father, said the family was trying to hold onto hope that the girl would be found. "We're all devastated right now," Sanikommu said. The FBI is assisting in the investigation, said Frank Burton, a spokesman for the agency's Philadelphia office. Re: Saanvi Venna Missing:Police Search For Baby After Grandmother Satyavathi Venna Killed/Raghunandan Yandamuri has been arrested in connection with Saanvi's kidnapping and murder/ 10/13/14:Found Guilty.Received the Death Penalty. KING OF PRUSSIA, Pa. – Authorities searched Tuesday for a 10-month-old girl who was declared missing after her grandmother, who was baby-sitting her, was found slain inside the family's apartment in a Philadelphia suburb. Amber alert issued for child in Montgomery Co. The father of a baby girl made a desperate plea to whoever kidnapped his child, after the girl's grandmother was murdered in their Montgomery Co. apartment Monday. "If someone finds my baby, could you please bring my baby back? ", said Shiva Venna. "Don't do any harm to the baby. Please, please help me in this matter." Authorities issued a statewide Amber Alert for 10-month-old Saanvi Venna Monday afternoon. Police discovered her grandmother's body around 1 p.m. Monday inside the Marquis Apartments in King of Prussia. The grandmother, 61 year-old Satyavathi Venna, was visiting from India, and babysitting the child at the time. She had arrived in July and was scheduled to return home January 2013. "I am worrying, actually, but worrying about that kid, actually," said neighbor Vasu Velaga, one of many fellow Indians who came to the Upper Merion Twp. police building to support the girl's family. Authorities have not released any details about how she was killed or who discovered her body. Monday night, detectives questioned members of Venna's family. The FBI is also assisting. Upper Merion's police chief told reporters that, although there are no suspects, the community should not be worried. An autopsy of the body of Satyavathi Venna is underway. Velaga said the apartment complex has been the scene of crimes before. "Everybody [is] trying to switch from this apartment as early as possible," he said. According to police, the baby is 21 pounds, with black hair and brown eyes. She was last seen wearing a white dress with pink flowers and some kind of jewelry. Many members of the local Indian community came to the Upper Merion Police Department to support the girl's family. Velaga issued a heartfelt plea to whoever has the child. "Please don't do any harm to the kid," he said. "Please leave her immediately; please inform the police." Anyone with information about a an individual with ill-will towards a member of the Venna family, or other information about the whereabouts of Saanvi or the homicide of her grandmother, is requested to contact the Upper Merion Township Police Department at 610 265-3232 or the Montgomery County Detective Bureau at 610 278-3368. Police are searching for a 10-month-old baby who was snatched from her grandmother's home after she was murdered on Monday. Police in Upper Merion Township, Pa., said today they believe someone entered the apartment where Satyavathi Venna was babysitting her granddaughter, Saanvi Venna, Monday morning. The grandmother was then killed and the infant taken from the apartment between 8 a.m. and 1 p.m., according to a statement from police. The FBI has joined local police to search for the missing child, who is of Indian descent and has black hair and brown eyes. Satyavathi Venna, was found dead inside the apartment and is believed to have been murdered. An autopsy on her body is being conducted today, police said. The 61-year-old Indian citizen was visiting her son and his family in Pennsylvania for six months, from July 2012 to January 2013, police said. Venkata Konda Shiva Venna, the father of the missing baby and the son of the murdered woman, begged for the return of his daughter. "If someone finds my baby, could you please bring my baby back?" Shiva Venna told WPVI. "Don't do any harm to the baby. Please, please help me in this matter." Investigators are attempting to identify suspects who may have a motive to harm members of the Venna family, police said in a statement today. Police searched an apartment complex in King of Prussia, Pa., Monday and towed a blue sedan car from the parking lot to the police department, WPVI reported. The Upper Merion Township police have issued an Amber Alert for the child. They have declined to answer specific questions about the crimes. WASHINGTON: An Indian woman from Andhra Pradesh visiting the US was killed when she apparently tried to resist the abduction of her 10-month-old granddaughter. Police and FBI have launched a massive manhunt for the assailants and the kidnappers. "Saanvi Venna (the baby) is believed to have been taken from her family's apartment after the murder of her grandmother, Satayvathi Venna, age 61, on Monday," Montgomery County District Attorney Risa Vetri Ferman said in a statement. Pennsylvania State Police has issued an Amber Child Abduction Alert. According to Ferman, the body of Satyavathi Venna, the paternal grandmother of Saanvi, was discovered inside the apartment. Satyavathi had arrived from India for a visit in July and was scheduled to return home in January. She was babysitting the child. The parents of the child, Venkata Konda Siva Venna (father) and Chenchu Latha Punuru (mother), had emigrated from India in February 2007. They previously lived in San Antonio, Texas, Troy Michigan, and Cleveland Ohio. In June this year, they moved to King of Prussia in Pennsylvania. An autopsy of the body of Satyavathi Venna is underway, Ferman said. In a televised news conference, Venkata Konda Siva Venna, made a brief, emotional plea, asking for help to trace his baby. "If someone finds my baby, could you please bring my baby back?" he was quoted as saying by the Philly Inquirer. According to the daily, the neighbours expressed shock at the incident. "You always fear the worst," Veronica Nava, 36, who lives in the same complex, told the daily. Wearing evidence gloves, about 25 police officers are searching a wooded area behind a King of Prussia apartment complex where a 10-month-old girl was abducted and her grandmother slain. Joined by FBI agents and other local police departments, Upper Merion police are investigating the abduction of the girl, Saanvi Venna, and the killing of her grandmother, Satayvathi Venna, 61. Three K-9 units joined the search this morning, which began about 10:30. As police searched, they knocked off brittle leaves from the wooded, hilly area between the complex and the Pennsylvania Turnpike. It was not known what they were searching for. Authorities have been stingy with details of either the abduction or the slaying, citing concern for the baby's safety. A news release said: "Investigators are attempting to identify any person with a motive to harm any member of the Venna family." Police believe the child was taken Monday between 8 a.m. and 1 p.m. They got a call to go to the sixth-floor apartment in the C building, and when they arrived about 1:16 p.m., they found Satayvathi Venna's body. An autopsy was completed Tuesday, but the results are not yet public. Family members were with Upper Merion police much of Tuesday, unable to keep from getting choked up when asked about the elder Venna's death and the baby's disappearance. "We want help to bring the girl back," said Ram Venna, Saanvi's uncle. "We still have hope." He had no idea why the family was targeted, he said. In a televised news conference late Monday, Saanvi's father, Venkata Konda Siva Venna, made a brief, emotional plea asking, "If someone finds my baby, could you please bring my baby back?" A statement from Montgomery County District Attorney Risa Vetri Ferman, Upper Merion Police Chief Thomas Nolan, and FBI Supervisory Senior Resident Agent Joseph Bushner said that Venkata Venna; his mother, Satayvathi Venna; the baby; and the baby's mother, Chenchu Latha Punuru, were living together in the Marquis apartment. The grandmother had arrived from India for a visit in July and was scheduled to return home in January. The child's parents moved to King of Prussia in 2012 after emigrating from India in 2007. Before coming to King of Prussia, they lived in San Antonio; Troy, Mich.; and Cleveland, authorities said. Residents of the Marquis complex were trying Tuesday to understand how such horrible crimes could happen so close to home. Veronica Nava, 36, lives in the complex's A building and was walking outside with one of her two children. She is pregnant with a third. Nava learned of the incident about 2 p.m. Monday while doing laundry. "You always fear the worst," she said. "A homicide is a big shock." "I feel bad . . . for the guy who is looking for his daughter," said resident Tanya Bazylskiy, 37, who lives in the C building. She said the apartment had many young professionals and families living there, "good neighbors." Many older grandparents watch their grandchildren at the complex, Bazylskiy said. Mary Williams, 49, lives on the fifth floor of building C, just below where the grandmother was killed. She said she was at her apartment all day Monday. She and neighbors she had spoken to did not hear fighting or violence of any kind, Williams said. But "each floor is kind of isolated," she said, and the walls are thick enough to block noise in other apartments. Jasbir Singh's store, the Royal India Spice Market, is on West DeKalb Pike in King of Prussia, one block from the Marquis. "So many in the Indian community live there," Singh said, and work at technology companies in the area and at the King of Prussia mall. Singh doesn't know the Venna family but says some of his customers who came in Tuesday live in the same apartment complex and talked about Monday's sad events. "People come in here, they say: 'Very bad' - but nobody knows what happened." The Marquis complex has five buildings. Tenants say the rent there is affordable, with a three-bedroom apartment costing $1,200 a month. The complex was built in the 1950s and needs updating, tenants said. A spokeswoman for Marquis Property Management issued a statement Monday saying: "We are not at liberty to discuss the situation. We are cooperating with authorities during their investigation." Police ask that anyone with information call 610-265-3232. A neighbor in the town where a 10-month-old baby disappeared after her grandmother was murdered has put up a $30,000 reward for information on the crimes. Police declined to identify the woman except to say she is of Indian descent and has been living in King of Prussia for the past 12 years. Police said they are working on a homicide investigation and search and rescue mission to recover the child. An autopsy was performed on the girl's grandmother, 67-year-old Satyavathi Venna, who was babysitting while the baby's parents were out of the apartment. The results of the autopsy have not been made public. Satyavathi had been visiting her son and his family in Pennsylvania from India. The grandmother was scheduled to return in January 2013, according to police. Police said they believe the baby was taken between 8 a.m. and 1 p.m. on Monday, and are looking for any suspects who may have had ill-will toward the Venna family. Police searched a wooded area behind the apartment complex today, according to the Philadelphia Inquirer. The Upper Merion Police department has not given any other details on the investigation or the woman who offered the $30,000 reward. The police and FBI have issued an Amber Alert for the child, who is of Indian descent and has black hair and brown eyes. THE REWARD for the safe return of baby Saanvi Venna, abducted from her King of Prussia home Monday after the murder of her grandmother, has risen to $50,000, authorities announced Thursday. Ten-month-old Saanvi was in the care of her grandmother, Satayvathi Venna, when someone entered their sixth-floor home in the Marquis Apartments, on Dekalb Pike near Kings Circle, killed Venna, 61, and kidnapped Saanvi. Authorities have released few details of the homicide or kidnapping, saying they don't want to risk the baby's safety. The reward is being offered by the Telugu Association of North America, the Citizens Crime Commission of the Delaware Valley, the Montgomery County District Attorney's Office and the Upper Merion Township Police Department. Tipsters should call Upper Merion police at 610-265-3232 or detectives at 610-278-3368. Satayvathi Venna, the 61-year-old grandmother found dead in a King of Prussia apartment Tuesday, was killed by "incised wounds to the neck and chest," Montgomery County coroner Walter Hofman said late Thursday. Meanwhile, Venna's 10-month-old granddaughter, Saanvi, was still missing. On Thursday, the reward for Saanvi's return rose from $30,000 to $50,000, and the investigation into the murder and abduction continued. The crimes have generated international attention, but few public revelations about what happened in the apartment. "Our focus remains the recovery of Saanvi," Montgomery County District Attorney Risa Vetri Ferman said. "As of right now, the only public update will be an increase in the reward." Her office, the Citizens' Crime Commission of Delaware Valley, the Upper Merion Township Police Department, and the Telugu Association of North America, an Indian group, announced they were increasing the reward for information that could lead to the baby's safe return. On Wednesday night, the Telugu Association held a candlelight vigil at Heuser Park in King of Prussia to raise more money and awareness about the abduction. The event drew more than 200 and was broadcast to audiences worldwide. Vigils were also planned in Troy, Mich.; Dallas; Atlanta; and Bridgewater, N.J., all cities with large Indian communities. Earlier Wednesday, police, FBI agents, and others combed the wooded area behind the Marquis Apartment complex. It was unclear where they were focusing their search on Thursday. "This is the fourth day we've been unable to find Saanvi," said Ram Venna, her uncle. "Please help us and provide us with any information you can." Venna said he and his wife would accompany his mother's body back to India, where she will have a traditional Hindu funeral. She had arrived from India for a visit in July and was scheduled to return home in January. He said the baby's father, Venkata Konda Siva Venna, would remain in the area. "We want him to stay here," Ram said, "but both parents are having a hard time." Police believe the child was taken between 8 a.m. and 1 p.m. Called to the sixth-floor apartment shortly after 1 p.m., police found the body of Satayvathi Venna. Hofman, the coroner, confirmed that the death was a homicide but would not elaborate on whether the "incised wounds" were slashings or stabbings, or what type of weapon was used. Ferman said investigators were being guarded with information because "we do not want to do anything that would jeopardize the child's safety." Anyone with information is asked to call the Anonymous Tip Line at 215-546-8477 (TIPS), Upper Merion police at 610-265-3232, or Montgomery County detectives at 610-278-3368. I just pray this baby is found! NEW DELHI: Saanvi Venna, the 10-month-old baby of Indian origin has been found killed, according to reports in the US media. Saanvi had gone missing from her home in Pennsylvania since Monday. Saanvi's grandmother Satyavathamma, 61, who was babysitting the child, was murdered by her abductor. Reports in the US media quoted Montgomery county district attorney Risa Vetri Ferman as saying that officials have found the body of Saanvi. Various Telugu associations and the US government had announced a reward of $50,000 for information on the missing girl. Saanvi's parents, Siva Prasad Reddy and Chenchu Latha Punuru migrated to the US in February 2007. A man of Indian origin — Raghunandan Yandamuri — has been arrested in connection with Saanvi's kidnapping and murder. Ferman said Raghunandan told authorities that he kidnapped the child for $50,000 ransom. She said that he "suffocated" the baby with a handkerchief as he was leaving the apartment after killing the baby's grandmother. He then put her body in a suitcase and later disposed it. Saanvi's mother told reporters that Raghunandan was not related to them anyway. Ferman said he will be produced before a court shortly. GUNTUR: With serious contradictions emerging from the statements of Raghu Yandamuri, the lone accused in the infant, Saanvi Venna's kidnap and murder case, the Federal Bureau of Investigation (FBI) sleuths further interrogated the accused after taking him into custody. Raghu was earlier produced in the district court in Bridgeport town in Philadelphia, US, on Friday evening (local time). While police claimed in the arrest report that Raghu resorted to the crime only for ransom, senior police officials are believed to have observed that further questioning of Raghu is required in order to bring out the real facts. On two grounds, the FBI is reportedly probing the case much deeper. One: Raghu, an IT professional, might not require kidnapping for ransom, which he knows is a big crime if caught. Two: He did not wait for the parents to turn up with the ransom and killed the child the same day. Before abducting the 10-month-old Saanvi from an apartment building in Upper Merion of Philadelphia, Raghu killed the grandmother of the child, Sarasawathamma last Monday. The five-day long mystery of Saanvi's kidnap ended on a tragic note when the police recovered the body of the child after arresting Raghunandan alias Raghu. Meanwhile, Raghu's confessional report raised many an eyebrow back home. "He would not have killed the infant so brutally had he really abducted the child for ransom," observed a retired investor B Ravindranath Tagore in Guntur. According to arrest report, the child bore knife injuries on the body. Although, the child would have died of suffocation as Raghu tucked a handkerchief to prevent the child from crying, his brutal attitude in making the cut injuries with knife had exposed his 'intentions,' said another police official. The FBI is said to be looking beyond the ransom angle as the accused played tricks with them, too, before the arrest. "There must be some strong reason for the act, not ransom," a police source said. According to sources, FBI sleuths gathered enough evidence to say that Raghu had killed the child only out of revenge against the mother of the child Latha. Sources said that Raghu and Latha were residents of Kandukur in Prakasam district in their childhood and continued their friendship even after reaching US as software professionals. Raghu is reported to have made a vain bid to convince Latha to marry him before the latter got engaged to Sivaprasada Reddy. Sources said that the parents of Latha are believed to have also opposed the alliance with Raghu on the grounds that he belonged to a different 'community.' Raghu reportedly shifted to Upper Merion from San Jose in California only to move close to Latha's family and take revenge. FBI claimed that a dissection of the ransom note proved crucial in cracking the mystery. Police said that nicknames used by the accused in the ransom note referred to short names of the parents of the child. The note said: "Shiva, your daughter has been kidnapped. If you report this to the cops [she] will be cut into pieces." The note demanded $50,000 and said the money had to be delivered at a nearby fast-food restaurant. Subsequently, Raghu demanded that "Latha should bring money to the location alone." Sources said that Raghu might have planned to eliminate Latha had she turned up with the money but killed the infant when the issue reached the police and Latha did not appear. Meanwhile, investigators said that baby's father told them that the middle names, Siva and Latha, are used only by close family and friends. Then, the investigators asked the couple to provide a list of people who "either used or were aware of the use of these nicknames." Raghu was on that list. Police said that Raghu feigned ignorance before the police when they first questioned him on Thursday. Curiously, Raghu had created a missing-child poster with two photographs of Saanvi and made about 200 copies, which he delivered to the family for distribution. He told the police that he had also attended the Wednesday night candlelight vigil to support the family. Raghu came out with the 'facts' during subsequent interrogation, claimed police. Raghu got married only last April and his wife is apparently expecting a child. Curiously, Raghu moved to US in 2007 almost the same time when Latha and Sivaprasad reached US. Family and friends Sunday morning bid a tearful farewell to baby Saanvi Venna, the King of Prussia infant abducted and killed last week during a double homicide, expressing gratitude for her time on Earth and prayers that her soul would soon rejoin them. At a viewing in East Norriton, mourners stood before the altar, their shoes removed out of respect for the sanctity of their surroundings. They clasped their hands and placed pink and red rose petals atop the tiny, closed white casket. "I am a proud father to have a daughter like Saanvi," Venkata Konda "Siva" Venna said solemnly. He urged the community not to let the violent episode that took his daughter's life and that of his mother poison their faith in humanity. "Don't lose your hearts," he said. "People are good." The body of 10-month-old Saanvi was discovered early Thursday morning in an unused basement sauna at the Marquis Apartments in King of Prussia, where she lived with her father and mother, Chenchu "Latha" Punuru, in a sixth-floor apartment. Her grandmother, Satayrathi Venna, 61, had been babysitting her when she was abducted Monday, the day the woman's throat-slashed body was found in the family's apartment. Satayrathi Venna had been visiting from India and is said to have died trying to protect her granddaughter. Charged with their homicides was Raghunandan "Raghu" Yandamuri, 26, also a resident of the Marquis Apartments. Yandamuri was having financial problems and intended to use the infant to extract a $50,000 ransom from her family, authorities said. He had stuffed a handkerchief in the infant's mouth to stop her from crying, and had wrapped a bath towel around her head to hold the handkerchief in place, arrest documents said. He then put the child in a blue suitcase he found in the bedroom, the document said, before abandoning her in the basement of building A at the Marquis complex. Several relatives on Sunday thanked law enforcement, the media and the thousands of strangers who have reached out to help and support the family through their grief. Community leaders, led by the Telugu Association of Greater Delaware Valley, said their priority now is to help the family recover and reach out to troubled individuals like Yandamuri to get them help. BRIDGEPORT — A preliminary hearing scheduled for an Upper Merion man accused of the alleged killing of a 10-month-old baby and her grandmother was continued Friday at the request of defense attorney Steve Heckman. Raghunandan Yandamuri, 26, will be represented by defense lawyer Stephen Heckman, former chief public defender in Montgomery County, when he has his preliminary hearing on charges of first- and second-degree murder, kidnapping, robbery, theft and abuse of a corpse in connection with the murders of 10-month-old Saanvi Venna and her grandmother, Satayvathi Venna, 61. Heckman was appointed Friday by a panel of Montgomery County judges to represent Yandamuri. “The compensation of said appointed counsel is to be borne by Montgomery County,” the judges wrote in the court order. The judges appoint lawyers, at public expense, whenever defendants claim they are indigent and cannot afford to hire a lawyer. Yandamuri, of Upper Merion, had been arraigned on two counts each of first and second degree murder by District Judge James Gallagher in Bridgeport on Oct. 26. Yandamuri is also facing kidnapping, robbery, abuse of a corpse and theft in connection with the murder of 10-month-old Saanvi Venna and her grandmother, Satayvathi Venna, 61. Authorities say that Yandamuri murdered the baby and her grandmother during an attempt to get $50,000 ransom for the child that began on Oct. 22. The preliminary hearing was slated to be held at the Upper Merion township building on Friday for security reasons but it was postponed Thursday after Heckman, a court-appointed attorney, asked for more time to prepare. The grandmother was found dead inside her son’s apartment at the Marquis apartments at 251 West Dekalb Pike on Oct. 22. The note told the parents that if they wanted their child back to them they must pay $50,000 by the end of the day. While admitting the murders to police, Yandamuri described how he abandoned Saanvi’s body hidden inside the steam room of the men’s bathroom, of the gymnasium located inside Marquis Apartment Building A,” according to court documents. Rashivar Karnati didn't know. He shared an apartment in San Jose, Calif., with Raghunandan Yandamuri in 2011, but could recall only one time his roommate visited a casino in Reno. Chendu Tummala had met Yandamuri years earlier in undergraduate school in India. Long after both men moved to the United States, they still hewed to Indian traditions and would never have discussed Yandamuri's gambling problem. "Asking financial information is not a good thing," Tummala told me. "We didn't even know he had filed for bankruptcy." Now, Yandamuri's financial woes are being cited as motive for a kidnapping and double homicide that may go down as among the most depraved gambling-related crimes of modern times. The 26-year-old software engineer is charged with stabbing 61-year-old Satyavathi Venna, and then gagging her 10-month-old granddaughter, Saanvi, and stuffing her into a suitcase that he dumped in a sauna while he awaited a $50,000 ransom payment. The infant's parents and Yandamuri were neighbors at the Marquis, a King of Prussia apartment complex populated by highly skilled foreign professionals on H-1B visas. In unit C603, Saanvi's parents doted on their new daughter, while in B610, Yandamuri worried about the pending birth of his first child. After printing missing-child posters himself and attending a vigil for Saanvi, Yandamuri confessed to investigators, he wrote the ransom note threatening to cut the child "into pieces" if he didn't get $50,000 - the exact amount he lost gambling last year. During that interview, the unlikely killer audaciously asked Montgomery County detectives to say his wife had turned him in. That way, Yandamuri figured, perhaps she could collect the $30,000 reward. Up to 20 percent of gaming in Atlantic City has come from Asian players, especially the Chinese. But the Asian Indian community, I'm told, does not share a fondness or tolerance for wagering. "Gambling is a taboo in India," explained Mallik Budhavarapu, whose Telugu Association of Greater Delaware Valley brings Indian expats together. "We don't have casinos. We don't play poker or slot machines." Indians fear shaming their families, Budhavarapu said, with fathers warning sons not to sully social standing. "If anyone would see me drinking alcohol, he would talk badly about my parents," he explained. "If someone gambled, he would be looked down upon. And if someone lost money gambling, he would probably just keep it to himself." What is oddly common in the last decade in India, Budhavarapu shared, is the kidnapping of children for ransom. "It happens, but usually from very rich or politically powerful families," he told me. "They don't kidnap neighbors from down the block." Given the expectations, Yandamuri's March bankruptcy filing represented an epic failure. In that 38-page document, he reported a $75,824 income but had no IRA, no car or house, few belongings, and only $175 in savings. The young professional said he spent $1,500 a month in rent and $600 supporting family in India. He owed $26,268 on nine credit cards, but did not elaborate on the $50,000 gambling loss. Compulsive gamblers often use cash advances to fuel their habit, but it's unclear whether Yandamuri did; his California attorney declined to comment. The bankruptcy was discharged in July, seemingly freeing Yandamuri from a self-made mess two months after he and his wife had relocated to King of Prussia. Whether he gambled afterward - the Valley Forge Casino beckons toward the Marquis from three miles away - is unknown. Money clearly remained on the young man's brain. A week before the killings, Yandamuri asked Tummala for $1,000 to fly in his in-laws after his wife gave birth. Days later, Yandamuri typed the frenetic ransom note targeting Saanvi, a bubbly baby often wearing her own jewelry. "It's up to you to decide," he threatened, "your 1 yr old daughter or 5 months of your income." Telugu bidda Raghunandan Yandamuri should have slashed his wrist and killed himself like the Dewey Beach murderer Pawan Kumar Anjaiah who committed suicide in June 2012 as the police were closing in on him. Now 26-year-old Raghunandan Yandamuri’s life has turned into a hellish nightmare, and it will be that way for the rest of his life. Yandamuri was arrested Thursday for the murder of an elderly Indian lady Satyavathi Venna and her young grandchild Saanvi Venna. Police are charging Raghunandan on multiple counts – Murder of the First Degree, Murder of the Second Degree, Kidnapping, Burglary, Robbery, Theft By Unlawful Taking and Abuse of Corpse. Going by his name, Raghunandan Yandamuri appears to be a Telugu, a language spoken mostly by residents of the South Indian state of Andhra Pradesh. U.S. media reports say that King of Prussia, PA resident Raghunandan Yandamuri has already confessed to the police of kidnapping and killing 10-month-old Saanvi Venna and murdering the child’s grandmother Satyavathi Venna. Satyavathi Venna was found murdered on Monday and her granddaughter Saanvi Venna missing. The elderly woman was murdered with a knife as she resisted the abduction of her granddaughter. After extensive search, the 10-month-old baby was found hidden beneath a bench in an unused basement sauna in the Marquis apartment complex where both Raghunandan and his victims lived. It seems, Raghunandan, a family friend of Saanvi’s parents, actively participated in the search efforts to find Saanvi Venna, posted “missing child” posters, distributed fliers and even attended a vigil. After killing the two and robbing the apartment of jewelry, Raghunandan had sought a ransom of $50,000 from Saanvi’s parents Siva Venna and Latha Punnuru (both software engineers). “It’s up to you to decide, do you want your 1-year-old or five months of your income?” Raghunandan’s ransom note said. What tipped off the police that the killer was a person known to the family was the use of words “Siva” and Lata” in the ransom note. Siva’s full name is Venkata Konda Siva Venna, and his wife’s name Chenchu Latha Punuru. The police started tracking the people known to the Venna family and ultimately zeroed in on Raghunandan Yandamuri. Yandamuri has been arrested and will likely face the death penalty as this is a particularly gruesome crime that also involved kidnapping for ransom. Even if he escapes the death penalty, Raghunandan will find life in prison hellishly miserable considering child molesters and child murderers have it badly from other inmates. Unless Raghunandan Yandamuri is kept in isolation from the general population in prison he’s likely to suffer brutal attacks from other inmates soon. It’s hard, almost impossible, to understand why Yandamuri didn’t turn the knife on himself. Raghunandan Yandamuri is married and his wife is pregnant. Over the last decade or so, there’s been a massive Telugu influx into the U.S., many with fraudulent documents. A lot of them have come here as software engineers but with the economy turning south and the competition intensifying, many Telugus have now turned to the restaurant business, hoping Dum Biryani would be their passport to riches. Alas, the Dum Biryani business has also become crowded and can only lift so many Telugu boats. Given that there are few opportunities these days even for Americans, it’s hard to imagine what this large group of Telugus can do other than resort to crime. What a POS. Damn these people who live here and still practice some of their ways from their county. I didn't even know that this poor child had been found dead until last night. It makes me sick. I hope he gets the DP. Those poor parents! The body of Saanvi Venna, the 10-month-old girl who disappeared from the Marquis Apartments in King of Prussia on Monday following the murder of her grandmother, was found at about 4:30 a.m. Friday in a sauna room inside the apartment complex, Montgomery County District Attorney Risa Ferman said. Raghunandan Yandamuri, 26, described by Ferman as a friend of the Venna family, has been charged in the murders of Saanvi and Satyavathi Venna. Ferman said Yandamuri told authorities that he intended to kidnap the child and hold her for $50,000 ransom. “He believed the family was of sufficient means to pay that ransom,” Ferman said. As he was leaving the scene of the elder Venna’s murder, Ferman said, Yandamuri “suffocated” the baby with a handkerchief and placed her in a suitcase, later disposing of the body. The chillingly detailed ransom note allegedly left by Yandamuri threatened that Saanvi would be “cut into pieces” and have her body parts “thrown into your apartments” if the family informed anyone of the abduction. Ferman said that Yandamuri also lived at the Marquis apartments and had known the Venna family “socially” since the summer. Ferman said authorities believe that Yandamuri did not intially intend to kill the victims and that he had appeared as a support figure for the family in the days since the killing, going so far as to post “missing” flyers for Saanvi Venna. According to an affadavit filed by Upper Merion Detective Andrew Rathfon and Montgomery County Detective Paul Bradbury, the use of the Indian diminutives “shiva” and “lata” in the ransom note helped lead authorities to believe that the note’s author was someone familiar with the family. Authorities first interviewed Yandamuri on Thursday, the day after he attended a vigil held in support of the family. He initially denied being involved in the killings but later admitted to them, the affadavit states. According to the detectives, Yandamuri said he went to work on Monday and used his work computer to prepare the ransom note. He reportedly told the detectives that he arrived at the apartment at about 11:00 a.m. Monday, armed with a four-inch kitchen knife. Satyavathi Venna answered the door. She initially retreated when threatened with the knife, but then “came at” Yandamuri after he picked up the baby. During the ensuing struggle, Saanvi fell from his grip and he fell on top of her. It was then that the elder Venna was wounded in the throat, Yandamuri allegedly told detectives. When Saanvi began crying, Yandamuri allegedly said, he “stuffed” a handkerchief in her mouth to make her stop, and wrapped a bath towel around her head to hold the handkerchief in place. He then described placing her inside a suitcase he found inside the apartment before disposing of her body in the steam room of the men’s bathroom inside the apartment complex’s gymnasium. The preliminary hearing for an Upper Merion man accused of the killing of a 10-month-old baby and her grandmother in Upper Merion was rescheduled for 9:30 a.m., Nov. 28, before District Justice James Gallagher. Raghunandan Yandamuri, 26, will be represented by defense lawyer Stephen Heckman, the former chief public defender in Montgomery County. Yandamuri faces charges of first- and second-degree murder, kidnapping, robbery, theft and abuse of a corpse in connection with the murders of 10-month-old Saanvi Venna and her grandmother, Satayvathi Venna, 61. Heckman was appointed Nov. 2 by a panel of Montgomery County judges to represent Yandamuri. Yandamuri, of Upper Merion, had been arraigned on the charges by District Judge James Gallagher in Bridgeport Oct. 26. Authorities say that Yandamuri allegedly murdered the baby and her grandmother during an attempt to get $50,000 ransom for the child that began Oct. 22. The preliminary hearing was slated to be held at the Upper Merion township building Nov. 2 for security reasons but it was postponed after Heckman, a court-appointed attorney, asked for more time to prepare. The man accused of killing an infant girl and her grandmother in an Upper Merion apartment last month may face the death penalty. Phillyburbs.com reports that the Montgomery County district attorney's office is considering seeking a death sentence for Raghunandan Yandamuri, who allegedly killed 10-month-old Saanvi Venna and her 61-year-old grandmother, Satyavathi Venna, on Oct. 22 in a botched ransom plot. Yandamuri remains held without bail at the Montgomery County Correctional Facility in Lower Providence. He is scheduled for a preliminary hearing on Nov. 28. Yandamuri has reportedly been assigned as a "mitigation counsel," whose job it would be to defend him against the death penalty. Montgomery County Assistant District Attorney Kevin Steele reportedly cited the death of a child under age 12 and a killing committed during the course of a felony as "aggravating circumstances" that would warrant the death penalty. There were 200 people on the state's death row as of November 1. Only three people have been put to death in Pennsylvania since the state reinstituted the death penalty in 1978. The last was Gary Heidnik, who was executed in 1999 for the murders of two women he'd imprisioned in his home. RAGHUNANDAN "Raghu" Yandamuri had money troubles. After losing $50,000 gambling at casinos and running up a $26,268 debt on nine credit cards, the software engineer filed for bankruptcy in California and moved to Pennsylvania for a fresh start. Now, Yandamuri no doubt longs for the days when debt was his worst problem. On Wednesday, he'll be in court in Montgomery County to answer charges that he murdered a baby girl and her grandmother last month in their King of Prussia apartment in a failed ransom scheme. Yandamuri, 26, is charged with murder, kidnapping, burglary, robbery and abuse of a corpse in the Oct. 22 deaths of 10-month-old Saanvi Venna and Satyavathi Venna, 61. His preliminary hearing Wednesday will be before Magisterial District Judge James P. Gallagher in Bridgeport. He's being held without bail in Montgomery County Prison. Yandamuri's financial trouble "certainly is part of my investigation," said Stephen Heckman, his court-appointed attorney. "I know there is an issue there." Heckman declined to give further details, saying he hasn't fully questioned Yandamuri. The case, which has riveted the Indian community here and abroad, started as a murder mystery when Venkata Venna arrived home from work Oct. 22 to find his mother stabbed to death and his baby missing. For four days, authorities released little information as they worked to identify a killer who had left multiple ransom notes warning that Saanvi would be "cut into pieces" if her parents didn't pay $50,000 for her return. Investigators suspected someone close to the family, because the ransom-note author used the parents' little-known nicknames. By Oct. 26, Yandamuri, the Venna family's neighbor and social acquaintance, had confessed that he'd schemed to kidnap Saanvi to extort money from her parents, both software engineers whom he figured could afford the ransom. He is charged with killing the grandmother when she moved to protect Saanvi and with suffocating the baby to quiet her crying. He directed police to Saanvi's body, hidden in a blue suitcase in the apartment building's basement sauna. He asked police to tell reporters that his pregnant wife turned him in so that she would get the $30,000 reward for information leading to his arrest. It's unclear if Yandamuri continued having financial problems after moving to Pennsylvania. Heckman said his client was working as a software engineer at the time of the Venna murders. Court records from his bankruptcy, filed in April, note that he sent $600 a month to support his parents in India. But according to Indian media, his father, a police constable, died in 1997. His mother, Padmavathi Yandamuri, who lives in southern India, told an Indian TV reporter that her son came to the United States in 2007 to attend college. She said she couldn't imagine her "kindhearted" son killing anyone, but said he deserves to be punished if he's guilty. The Montgomery County District Court has released the 23 minute videotape of 26-year-old Raghunandan Yandamuri’s confession to the alleged killing of 10-month-old Saanvi Venna and her grandmother Satyavathi Venna. The video shows Yandamuri demonstrating the events that occurred the day of their death. A man accused of killing a baby girl and her grandmother in October in King of Prussia is being held for trial. At a preliminary hearing Wednesday, a district judge ruled that prosecutors have enough evidence to try 26-year-old Raghunandan Yandamuri (pictured here) for murder, kidnapping and other offenses. In a video recording played at the hearing Yandamuri told police he never intended to kill anyone, and he just wanted to kidnap the baby for ransom. He demanded $50,000, the amount he had lost gambling at casinos. He also ran up more than $26,000 in credit card debt, and had filed for bankruptcy in California last April before moving to Pennsylvania. Authorities say 61-year-old grandmother Satayvathi Venna was killed while trying to save ten-month-old Saanvi Venna’s life. Yandamuri lived at the Marquis Apartments in King of Prussia, where the victims also lived, and he was a social acquaintance of the baby’s parents. A note left at the scene threatened to throw their daughter’s body parts into their apartment if they told anyone about the note or failed to pay the ransom. COURTHOUSE – One after another, the charges were read against an Upper Merion man who allegedly killed a 10-month old girl and her grandmother, and one after another, his attorney affirmed he was not guilty. The formal arraignment of Raghunandan Yandamuri commenced before Judge Steven T. O’Neill in Montgomery County Court Friday morning, marking one of the most high profile death penalty cases ever tried in recent history. A petite, soft-spoken man, Yandamuri, 27, was brought into court in an orange prison jumpsuit and shackled at the hands and feet. He is accused of killing young Saavni Venna and her grandmother, Satyavathi Venna, during a botched kidnapping for ransom on Oct. 22, 2012 at the Marquis Apartments in King of Prussia. In total, Yandamuri pleaded not guilty to all 11 charges, including first-degree murder, second-degree murder, kidnapping, burglary, robbery and abuse of a corpse. First Assistant District Attorney Kevin Steele filed two notices seeking the death penalty, one for each victim. “We’ve found there are a number of aggravating circumstances which the legislature has indicated will allow us to move forward with the death penalty,” said Steele. When police converged on the Marquis Apartments that day in October, it was about 1:15 p.m. when they found Satyavathi Venna lying in a pool of her own blood, her neck sliced open. Satyavathi Venna had been babysitting her granddaughter, when Yandamuri allegedly arrived at the apartment with a kitchen knife and 10 copies of a garbled ransom note. Prosecutors say Yandamuri was desperate for money to repay a litany of gambling debts. 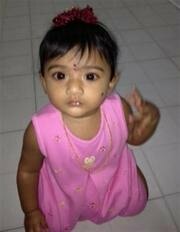 Ten-month old Saavni Venna was missing at the scene. State police issued an Amber Alert that lasted a week before the little girl was found in the basement of the Marquis apartment complex. Police found her lifeless body under a bench in an unused men’s locker room attached to the gymnasium. A handkerchief had been stuffed in her mouth. Defense attorney Steven G. Heckman said his client had been getting “some gentle ribbing” from fellow inmates in prison, due to the case receiving a lot of coverage in the press. “Sometimes the publicity of these cases brings him more in their line of attention, but otherwise, not a problem. This has been a lot for him to process. He’s dealing with a lot of critical issues, but he’s been fairly stable,” said Heckman. O’Neill said a trial date will be set for some time in the fall. Raghunandan Yandamuri is taken from District Judge James Gallagher's court in Bridgeport after his arraignment. They do it all the time. Never could figure that one out! Well, I am sure good old Jodi would try to say she didn't do it even now if she could. NORRISTOWN, Pa. (AP) — A defense attorney for a man accused of killing a woman and her granddaughter in a botched ransom kidnapping in suburban Philadelphia says his client was coerced into confessing. The Times Herald reports (http://bit.ly/128MIi7 ) attorney Stephen Heckman says 27-year-old Raghunandan Yandamuri (rag-oo-NAHN'-dahn yahn-duh-MOHR'-ee) gave self-incriminating statements to police without being read his Miranda rights and after a grueling 17-hour interrogation process. Heckman filed motions to suppress evidence in Montgomery County Court on Monday. Baby's father testifies at Yandamuri's sentencing hearing. COURTHOUSE >> Jurors wept Friday as Venkata Venna, the father of Saanvi Venna and the son of Satyavathi Venna, said he’ll never forget the moment he found his mother’s body in his Upper Merion apartment on Oct. 22, 2012, and realized his only child was missing. Friday marked the first day of the sentencing phase in the trial against Raghunandan Yandamuri, 28, who was convicted Thursday of two counts of first-degree murder in the deaths of 10-month-old Saanvi Venna and her 61-year-old grandmother, Satyavathi Venna. Venkata Venna told the jury that if not for the outpouring of support from family, friends and even people he’s never met from all over the world, he doesn’t know how he could continue going through life. However, he stated that he used to be a trusting person, but is now scared about whom he opens the door for, and, rather than looking for the good, he just sees the bad in people. First Assistant District Attorney Kevin Steele said the commonwealth will not call any more witnesses and is prepared to make closing arguments on Tuesday. Before testimony began on Friday, Yandamuri asked the judge if he would be able to forego the sentencing phase and just receive the death penalty. He further stated that if there was going to be a sentencing phase, that he didn’t want to be present for it. Judge O’Neill said the law required him to be at the sentencing hearing. Through all of the testimony on Friday, Yandamuri sat at the defense table and wrote on a legal pad. However, when Venkata Venna testified, Yandamuri covered his eyes with his hands. Penalty-phase defense attorney Henry Hilles said he did not give much thought to Yandamuri’s wish to die. “I think that some of his thoughts at this moment were borne out unbelievable emotion of having just lost a first-degree murder case that perhaps implausible thought he might win. I don’t give much credibility to his stated desire to seek the death penalty,” Hilles said. Hilles further stated that Yandamuri may be fearful of what may happen to him in the state penitentiary system. He explained that Yandamuri has been in one fight while at Montgomery County Correctional Facility. “Fortunately, he has not had the kind of victimization that you worry about as an inmate in any penitentiary or state prison. He hasn’t been the victim of any sexual assault for example. That’s the type of thing he’s worried about,” Hilles said. On Friday, Hilles called Dr. John O’Brien, who said that after evaluating Yandamuri and his history of psychiatric problems, he found that he knew what he was doing at the time of the crime, and did not experience any traumatic brain injury that would affect his judgment. Dr. O’Brien added, however, that Yandamuri, since his incarceration, has developed obsessive compulsive symptoms, though those have nothing to do with the murders. Hilles also called Anthony Bucci, a social worker at Montgomery County Correctional Facility, who testified that Yandamuri has been a respectful prisoner and has been cited only three times: once for cutting himself, once for hollowing out a bar of soap and once for fighting. Bucci said that after investigating the fight, he found that Yandamuri was only defending himself. Hilles will call one final witness on Tuesday before closing arguments. After closing arguments jurors will have to weigh aggravating and mitigating factors before deciding if Yandamuri should be sentenced to death or life in prison. 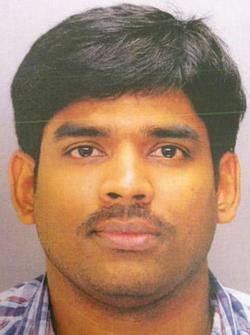 Jury imposes death sentence on Raghunandan Yandamuri. A Montgomery County Court jury Tuesday sentenced a King of Prussia man to death for murdering a baby and her grandmother in a 2012 kidnapping plot that went horribly wrong. Jurors convicted 28-year-old Raghunandan Yandamuri of first-degree murder last week in the stabbing death of Satyavathi Venna, 61, and the suffocation death of her 10-month-old granddaughter, Saanvi Venna. The jury, which deliberated for about 3-1/2 hours Tuesday, could have chosen to sentence Yandamuri to life in prison without the possibility of parole. Yandamuri had no visible reaction to the announcement. He looked down and continued scribbling notes, as he had for much of the monthlong trial in Norristown. Montgomery County First Assistant District Attorney Kevin Steele and Deputy District Attorney Samantha Cauffman said the sentence was what the victims' family wanted. "It's not going to give them back what they lost, but it is a sense of closure for them," Cauffman said. Henry S. Hilles, Yandamuri's attorney for the trial's sentencing phase, said that he was disappointed but that he had prepared Yandamuri for the possibility of the death penalty. Aside from a mountain of incriminating evidence in the case, Yandamuri's decision to represent himself for the first phase of the trial stacked the odds against him, Hilles said. "I felt that if he had expressed remorse, he would have had a better chance at saving his life," Hilles said. Hilles said it was unclear whether Yandamuri would represent himself when he appeals the verdict. Formal sentencing will be scheduled within 45 days. Prosecutors said Yandamuri, a former information-technology worker who emigrated from India on a work visa, plotted to kidnap the child for ransom money to feed his gambling habit and killed the grandmother when she got in his way. Yandamuri maintained his innocence throughout, showing no emotion even during moments when jurors were moved to tears. In making their decision, the five women and seven men on the jury considered aggravating factors such as the elements of Yandamuri's crimes and mitigating factors such as testimony regarding his gambling addiction and mental state. Earlier Tuesday, at the conclusion of Yandamuri's sentencing hearing, Steele asked jurors to hand down the death penalty because Yandamuri committed the murders as part of a plan to carry out additional crimes, such as holding the child for ransom. He also reminded jurors of testimony from a pathologist who said the infant died painfully with a great "hunger for air." "I would ask you to think about the last moments of that innocent child's life," he said. Hilles implored jurors to sentence Yandamuri to life behind bars, saying Yandamuri had no prior criminal record and a history of mental illness. A forensic psychologist had testified that Yandamuri suffers from bipolar disorder that impairs his judgment and emotional control. "I am not standing up here asking for leniency," Hilles said. "Life in prison without parole is a horrible way to live." Last week, Yandamuri told Montgomery County Court Judge Steven T. O'Neill he would rather take the death penalty than sit through the sentencing hearing. He agreed to remain in court for the hearing after speaking with his attorney.